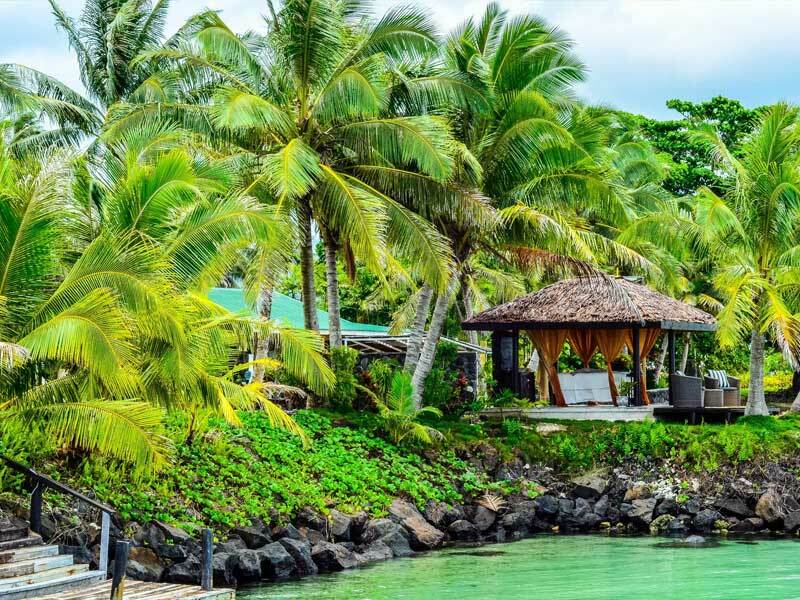 Hidden away on a picturesque white sand beach on the Samoa’s largest island, Samai’i, you’ll find Le Lagoto Resort and Spa. 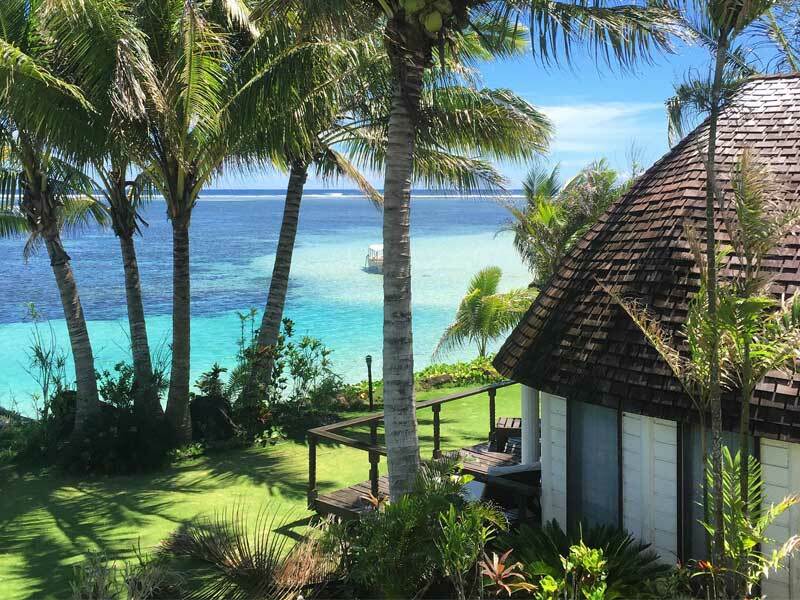 The resort has a prime location that fronts onto one of the best beaches in all of Samoa and you will get to appreciate the seclusion that this boutique style resort is famous for. It’s never crowded or rushed and it’s impossible not to be immersed in the feeling of serenity and let your stress melt away. If you’re seeking a unique and personalised experience in Samoa, this resort is the perfect choice for your next island getaway. 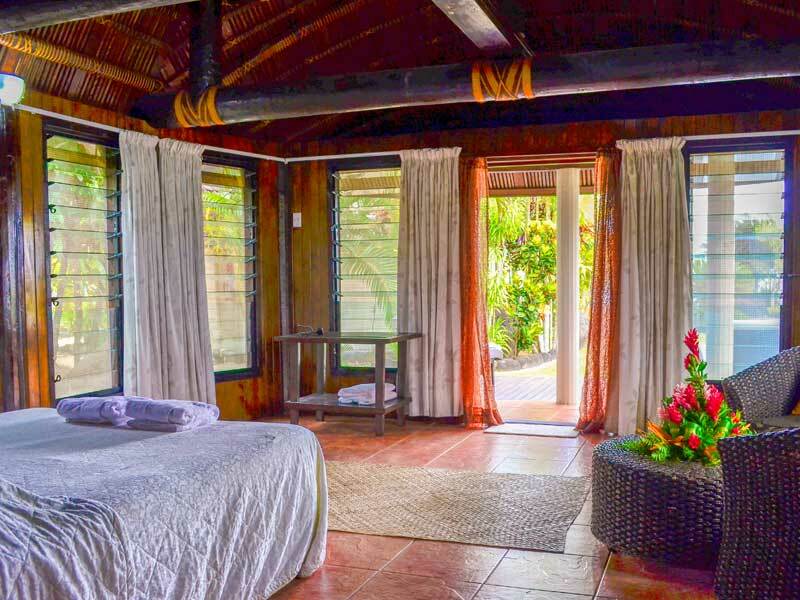 With just 10 Bungalows and 2 Family Rooms this resort is small and personal and has been designed to give you a window into the local culture of Samoa. The wonderful resort grounds are covered in lush landscaped gardens, towering palm trees and plenty of large umbrellas for shady areas. 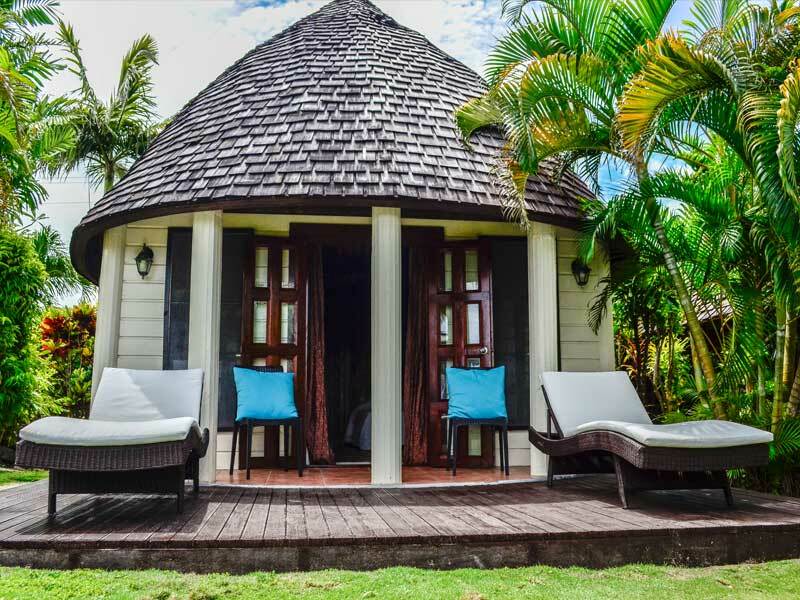 You’ll also find hammocks, day beds and chairs scattered amongst the tropical gardens – a lovely way to spend some time lounging and soaking up the perfect Samoan weather. Hans Poolside Bar is a great place to enjoy a delicious cocktail or try one of the local beers and Vailili Restaurant creates dishes from both traditional Samoan and international cuisines with the very freshest locally sourced produce. Enjoy the weekly cultural shows held at the restaurant that demonstrate various aspects of the island’s rich 3000-year old history. Why Go to Le Lagoto Resort & Spa? 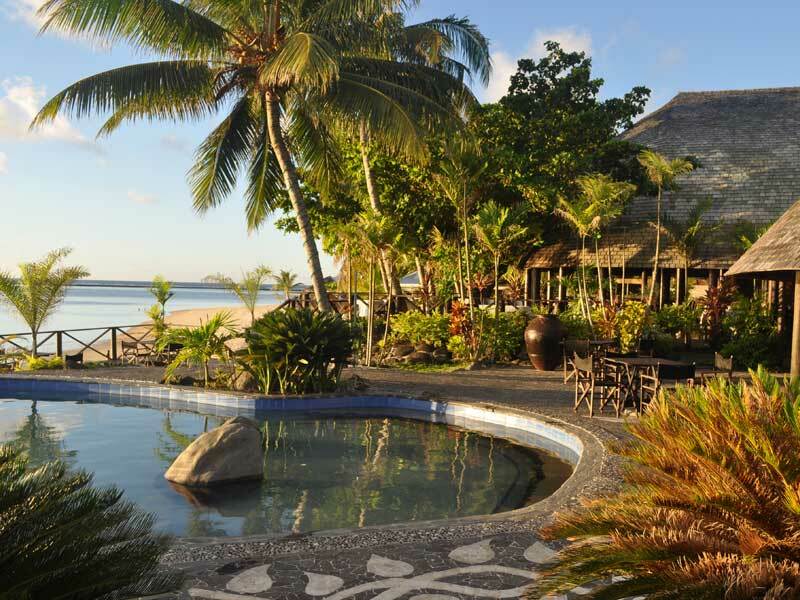 Le Lagoto Resort and Spa is a fantastic way to experience some of the true culture of Samoan life while still having all the facilities and amenities of a modern resort. The resort is small and private and is owned and run by locals who are dedicated to making your experience one you’ll never forget. The beachfront location is stunning and the entire feel of the resort is one of relaxation and enjoyment. 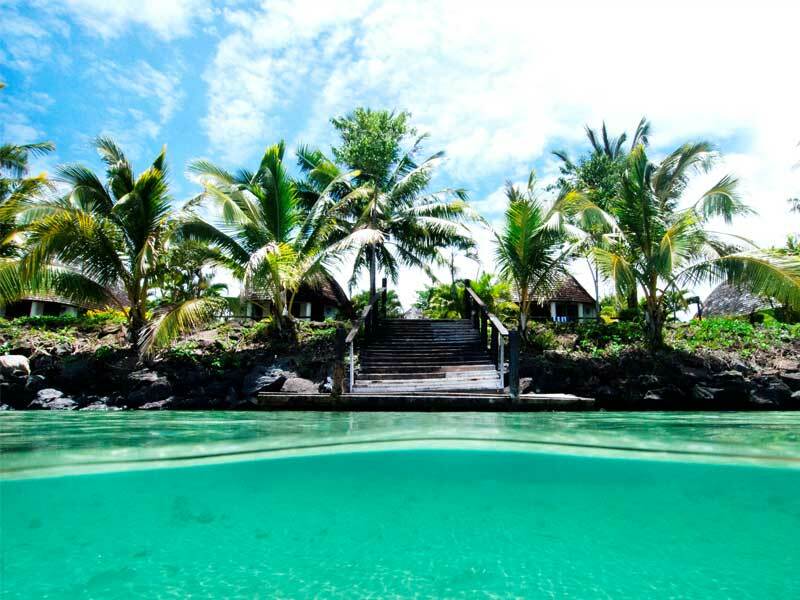 If this sounds like your perfect holiday to Samoa, give us a call now on 1300 072 662! Just one row back from the beach, these bungalows have captivating ocean and garden views and are located close to all of the resort’s facilities. 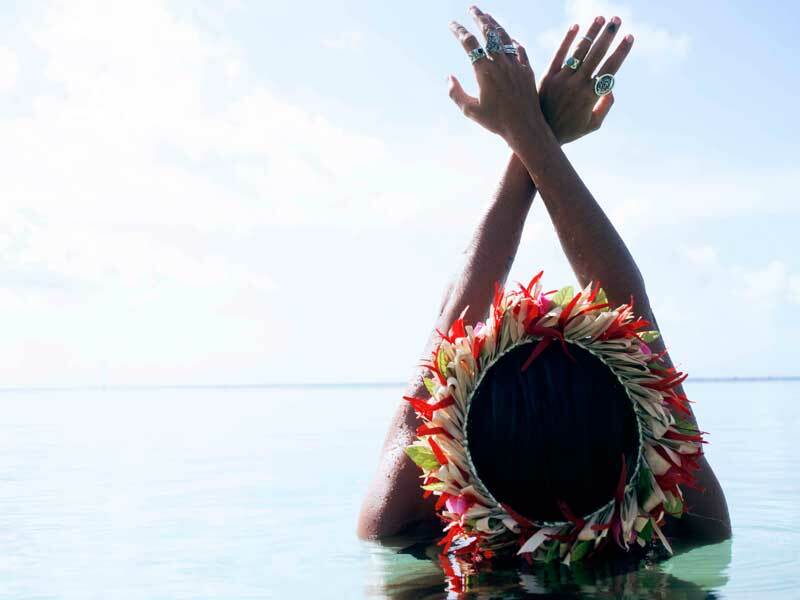 They have an authentic Samoan design, built using timber materials and traditional architecture. The huge louvered windows have been placed to draw in the natural light and allow the cool breezes to gently flow through. If you want a break from the warm tropical weather, the room has air-conditioning. You have a Queen-size bed and additional beds are available, accommodating up to 4 people comfortably. You also have a TV and the use of facilities for tea and coffee and a mini refrigerator. 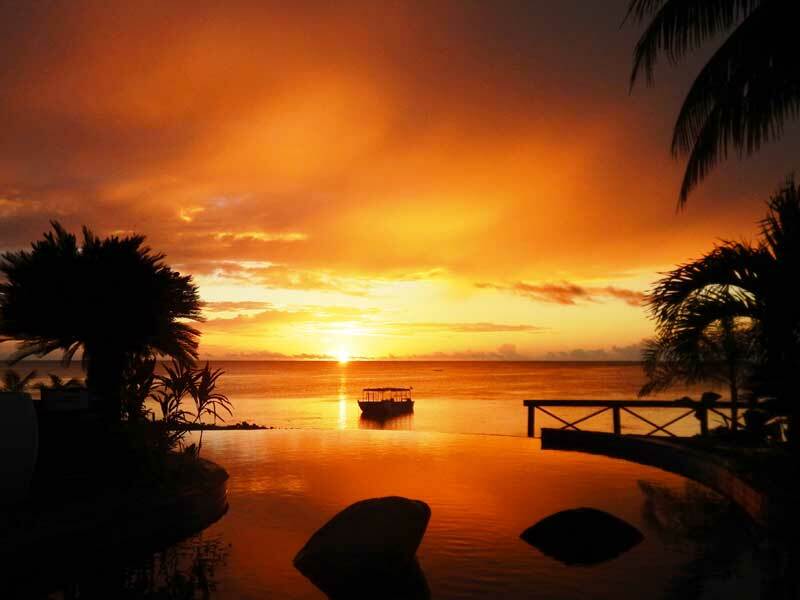 Positioned directly on the beach, with uninterrupted views across the water, this bungalow is a secluded haven. The interior styling feels very traditional, with time-honoured timber used throughout. The bungalow has a private balcony that is furnished with sun lounges and extends the usable space. There is a Queen-size bed and additional bedding is available on request. The air-conditioning provides an escape from the tropical warmth and your bungalow also comes with a TV, mini refrigerator and tea and coffee making facilities. 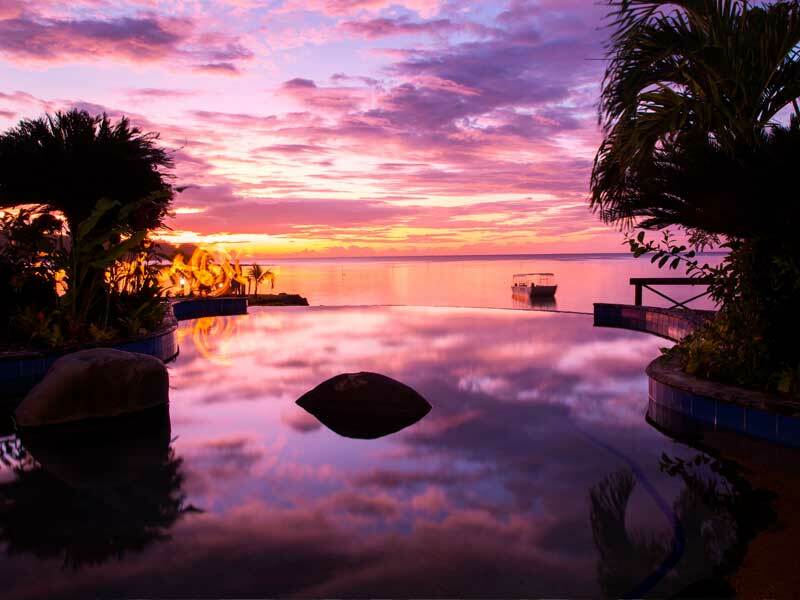 Located right on the beachfront at the most northern point of the large island of Savai’i, this resort occupies a secluded spot that is slightly removed from the most visited areas in Samoa. This is Le Lagoto’s main draw card, attracting visitors who want a resort that isn’t typical of the usual tourist scene but instead provides a genuine immersion in the local culture. Once you’ve arrived at the international airport, you will take a ferry ride across to the island of Savai’i, where you can catch a minivan or small bus that will transport you directly to the resort. While staying at Le Lagoto Resort and Spa you’ll want to make the most of the beautiful beach located just metres away from your bungalow. The protective reef ensures that the water is calm and gentle, making it perfect for a range of water sports. Kayaking and paddle boarding are 2 of the most popular activities and they are both fun, easy and safe. The water is perfect for snorkeling and the resort has equipment available for use. There are also spots close to the resort that are suitable for diving and exploring reefs and deeper waters. The resort offers rental cars if you want to strike out and explore the island. Alternatively, you can book one of the many tours available to various destinations around Savai’i. This island hasn’t been developed like many tourist destinations and provides some untouched natural beauty for you to see and experience. From amazing hidden waterfalls to lush tropical jungle, there are plenty of choices and they are all accessible from the resort. The local village of Fagamalo is a lovely place to wander around and explore, with plenty of friendly locals who will make you feel right at home. It’s all part of the Le Lagoto Resort and Spa experience! Staff were brilliant, and the room was lovely and tidy on arrival. The food was awesome and it really was great service from beginning to end!